For years, there’s a certain question that has caused millions of arguments in message boards world-wide: Who’s the greatest MMA fighter of all time? Some would vote for Rickson Gracie with his jiu jitsu aces, others would go for the UFC’s undefeated 205 lbs champion, Frank Shamrock, while the rest might put the crown on Fedor Emelianenko who rules the heavyweight division for most of the last decade. 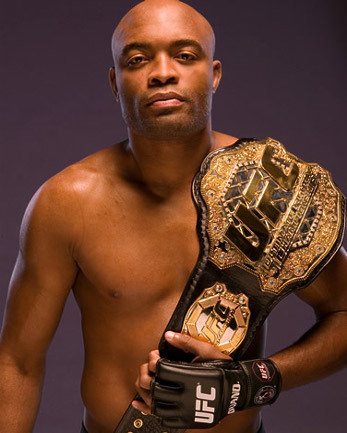 However, there’s still one athlete that is beyond compare — Anderson Silva. Anderson Silva’s professional record under the UFC banner in unmatched in the promotion’s history. In his 11 years in the sports, he has beaten seven legitimate world champions and has faced a lot of dangerous moments. Hence, it is typical of his reign to win against Vitor Belfort at last Saturday’s UFC 126. But what really deviates Anderson Silva from his contemporaries is his ability to end a fight decisively. With a fighter like Vitor Belfort, the middleweight champion refused to end his night without the belt on his hand. But despite his strong record as a submission and knockout mecha, the crowd still booed Anderson Silva. Maybe it is really Anderson Silva’s destiny to become notable but not well-loved. Regardless, fans are still going to witness his greatness every time he fights. And it’s important that people enjoy him every chance they get, before Anderson Silva’s career reach its final act.